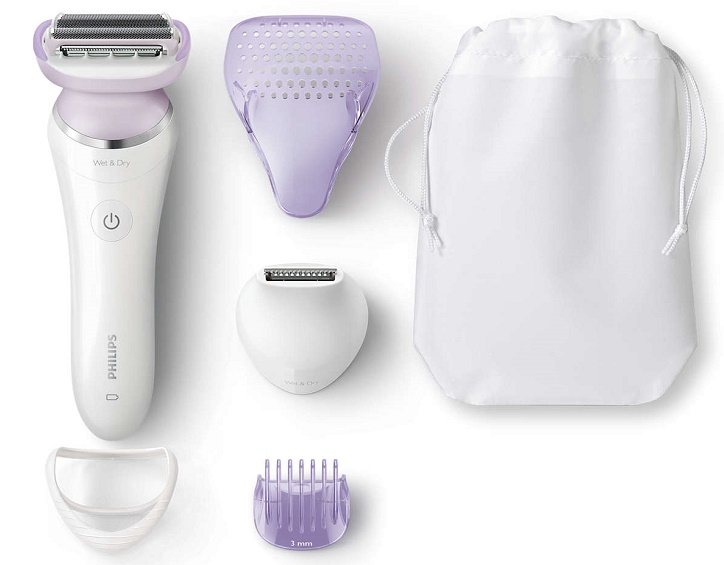 With the Philips SatinShave Prestige Wet and Dry Electric Shaver enjoy a flawlessly close and comfortable shave on your legs and body. The flexing curved blades are 75% more efficient than traditional ladyshave blades. Under the protective foil, they follow your contours for our closest ever shave. As you guide the shaver over your body, the multiflex head with floating foils and flexing neck moves with you to keep optimal skin contact. 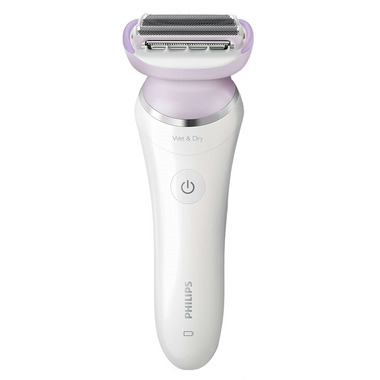 The dual shaving foils ensure there are fewer hairs missed. The soft-touch comfort cushions either side of the shaving head deliver a smooth pass and a gentle skin feel, especially in curvy areas. The rounded pearl tip trimmer and the safety bars under trimmer protect your skin from scratches for a comfortable shave. For a gentle and comfortable use during your shower or bath routine with anti slip grip for optimal wet and dry use.